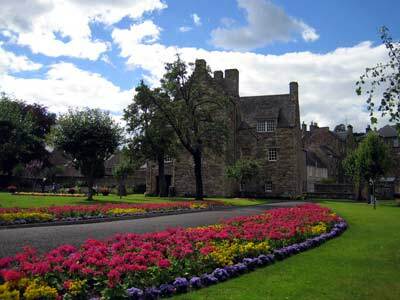 Mary, Queen of Scots' House is a museum in Jedburgh devoted to Marie Stuart opened in 1987, on the 400th anniversary of her death. 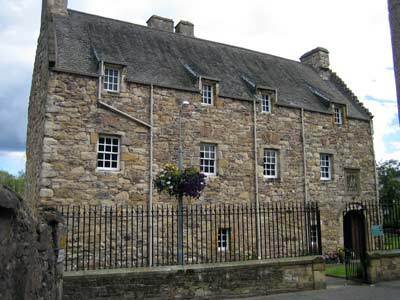 Although there is some debate as to whether this was indeed the fortified house she was taken to, it is believed that she stayed here, where she was gravely ill after riding 30 miles to Hermitage and back in one day to visit James Hepburn, the Earl of Bothwell who was himself seriously wounded, and falling into a bog on the way home. 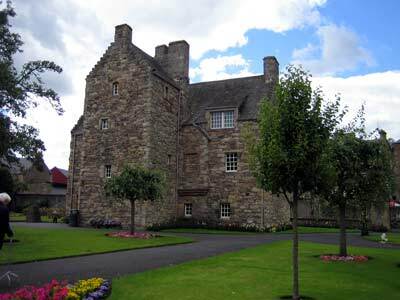 This house belonged to the Kerrs of nearby Ferniehirst Castle (where it is likely she may have been cared for instead). The house has an interesting feature, a left-handed staircase built for the Kerrs (who were left-handed) in the 16th century, to enable them to wield their sword more easily. The house displays memorabilia of Mary including jewellery, belongings, documents and paintings, and a watch which Mary lost in a bog and was found again 250 years later in a mole hill! 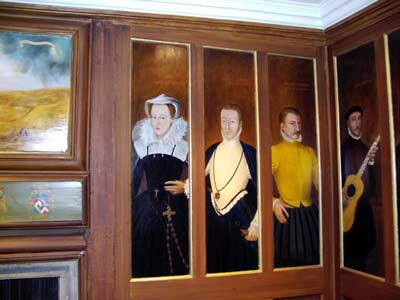 The above panel shows Mary, Lord Darnley her second (murdered) husband, Lord Bothwell (later her third husband) and David Rizzio, her (also murdered) Secretary. Mary's death on the execution block, at the hand of Queen Elizabeth was characterised by her dignity, bearing and composure. It was common to strike a mask from the severed head as soon as possible after death. The original appearance of the mask would be white and unembellished. This example, which was found by the late Dr Charles Hepburn of Glasgow, in Peterborough where Mary was first buried, has been hand-painted. Four masks were purported to have been made only two of which are available including this one and another at Lennoxlove. 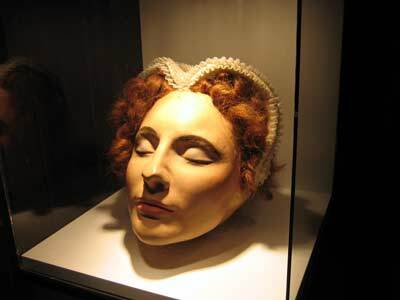 The Lennoxlove mask is however much smaller and the features quite different from this one, and Antonia Fraser (Mary's biographer), states that it is more likely to belong to one Hamilton lady. 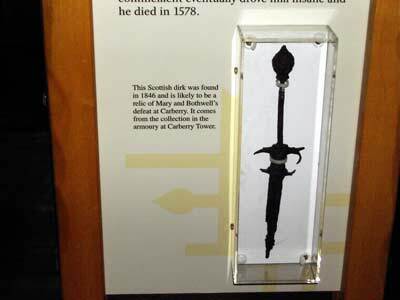 Above right, this Scottish dirk was found in 1846 and is likely to be a relic of Mary and Bothwell's defeat at Carberry. It comes from the collection in the armoury at Carberry Tower. Open all year. Tel. : 44+ (0)1835 863331.